Free personalized notepads that can be customized online and then printed at home. There are three note pages per page. Cut them out and then have them bound at your local printer or stationery store. If you don’t want to have them bound then you can still create a notepad by tying a ribbon around the pad or even just a strip of paper. 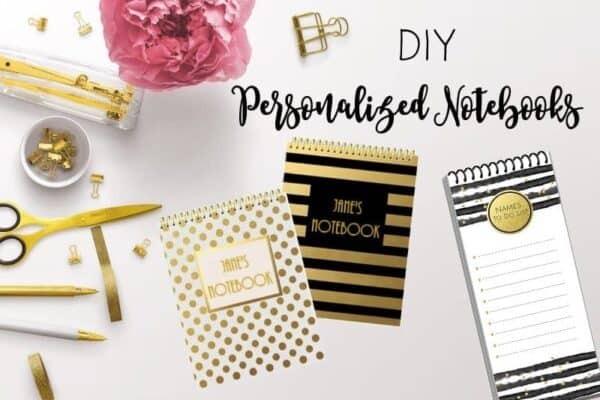 These notepads make really pretty custom DIY gifts that don’t cost much to make. They are both pretty and usefeul and the recipient will be love them!